Which came first - the mission artist or the egg? I am egg-born. It's true. My egg was a bit more evolved but still an egg. My mission artist job is to show concepts conceived by others. My life started when my parents conceived me in Vancouver, BC. What a concept! Next the concept had to be approved and adequate funding procured. Then launch preparations were made and I was "born" in Santa Monica, California. Now if only I could find a cool chick. 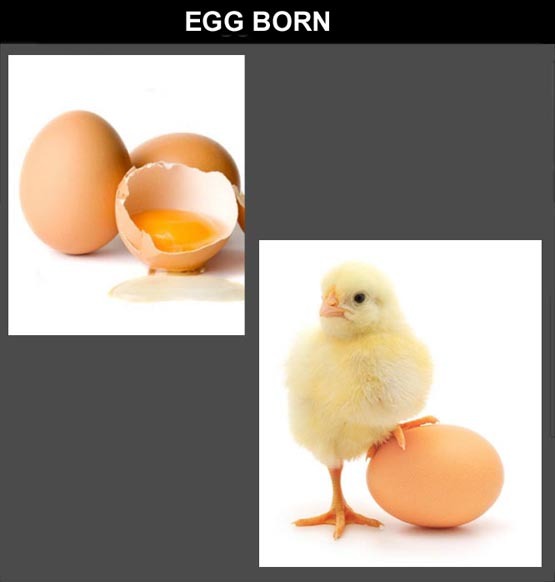 Egg-born like me. I'm not particularly immaculate (perfect) in my house keeping. But I do alright. My concepts keep me too busy to be immaculate. One must not be confused: the term getting laid applies strictly to eggs. Got that? OK! Glad we cleared that up.